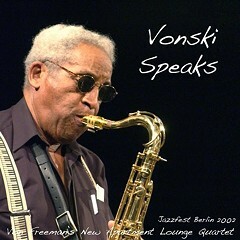 Tonight in New York legendary Chicago tenor saxophonist Von Freeman will be honored as a 2012 NEA Jazz Master at Lincoln Center. 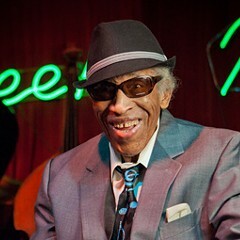 His fellow recipients are drummer Jack DeJohnette (another Chicago native), bassist Charlie Haden, singer Sheila Jordan, and trumpeter and educator Jimmy Owens. 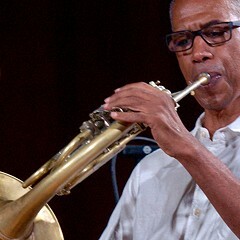 This evening's award ceremony will feature the Jazz at Lincoln Center Orchestra with Wynton Marsalis and special guests. Those of us in Chicago can watch the ceremony online at either arts.gov and jalc.org, beginning at 6:30 PM CST. After the jump I've posted a clip of Freeman performing "Bewitched, Bothered, and Bewildered" at Mandel Hall last February with his fine working band—guitarist Mike Allemana, drummer Michael Raynor, and bassist Matt Ferguson.